Dishwasher Repair: Common Problems And Helpful Tips! Dishwasher Repair: Common Problems And Helpful Tips! 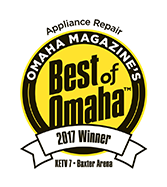 Being winners of Omaha Magazine’s Best of Omaha Award in 2017, Angie’s List Super Service Award in 2016, and the Best of Lincoln in 2017 is not something that you’ll hear our technicians brag about when they come in to give you world-class appliance repair service. That’s because they’ll be focused on fixing your dishwasher, dryer, or whatever the case may be. So, forgive us for pointing out the fact in these posts. 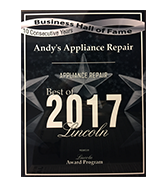 Not only is it fun to toot our own horn just a touch, but more seriously, it’s important for our prospective customers and long-term clients to understand how we do business here at Andy’s Appliance Repair. We’ve been providing exceptional kitchen appliance repair service for nearly 50 years now, and with that experience comes an understanding of our community. 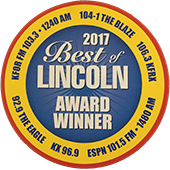 With appliance service centers in Lincoln and in Omaha, our service area stretches out much further than that. We are proud to provide affordable appliance repair to the following locations (but our service isn’t limited to these listed below). But rather than go on about information that is available to you in its entirety here, let’s actually talk about dishwasher repair and some tips that will help you maybe not have to call us at Andy’s Appliance Repair for a dishwasher replacement part or dishwasher service in the first place! We haven’t been in this industry for nearly a half a century by nickel and dime-ing people for kitchen appliance repair service that they could have performed on their own. Rather, we’ve been around because we’ve made a point to set our clients up for success in the little and small things, educating them where we can. In keeping with that idea, let’s talk about common problems and helpful tips when it comes to Bosch dishwasher repair, Maytag dishwasher repair, Miele dishwasher service, and other name brands just like them. We see this a fair amount, so hopefully we can help point you in the the right direction. The good news is that this issue probably doesn’t merit a new dishwasher, or even dishwasher service. It’s probably simply due to not loading the dishes properly. The top rack needs to get the right amount of water flow, and if some water flow isn’t getting to all of your dishes on the top rack, they aren’t going to get cleaned. If this is your issue, we can help with a pro-bono how to load your dishwasher properly tutorial. Some may find this insulting, and others useful. At bare minimum, it’s probably a healthy reminder for everyone. Plates go on the bottom rack – make sure that they aren’t flush up against one another, otherwise water won’t flow, and again, they won’t get clean. You don’t need to go insane with scrubbing before placing them in your washer. Just get the big chunks or the sticky stuff that requires a bit more elbow grease. Let the dishwasher do the dishwashing. Put the bowls on the top rack, and tilt them down slightly, so that they don’t end up carrying some nasty dishwater complete with food chunks. Yuck. Keep cups upside down as well, for the same reason as mentioned above. This one might surprise you a bit. It’s a good idea to keep stainless steel items away from silverware. Don’t let them touch because chemical reactions can occur between the two which can create pitting, a corrosion, in the material. Put your pots and pans away from the door, because in doing so you might be accidentally not allowing detergent to flow. Plastic containers need to go up top, otherwise they might melt or warp due to being too close to the heat source on the bottom rack. Keep your spoons up top along with other similar utensils. You don’t want them to fall down and inhibit the dishwasher’s arms from doing their thing. Make sure they are secured so that they won’t fall down easily. This is an issue that needs to be addressed as soon as possible. If you don’t address it, you two options are to either hand wash everything, which is time consuming and not a ton of fun, or to lay down towels on the floor. The second option isn’t viable, because you might end up damaging your floor which could end up costing you more than you needed to spend in the end. In reality, you could just fix the issue itself without having to spend anything at all. The first thing you want to look at is to check the door gasket and door itself for any possible damage or blockage occurring. If something is inhibiting the seal, that’s your issue right there. If there are cracks in the gasket, you likely will need to get a replacement gasket. We can handle that process for you, as we often order all kinds of dishwasher replacement parts from a range of brands. Another culprit of the issue might be the float switch, which is the thing that determines the water level of your dishwasher, might be stuck in the down position. If this is the issue, that is good news, because usually a quick cleaning (removing debris from it as well) will have your dishwasher up and running again immediately! If your glasses are coming out cloudy or even white, it means that there is hard water build up. Get a hard water detergent to fix this problem. If that doesn’t help, the problem might be more severe than typical. You might need to consider getting a hard water softening system for your entire home, which will help out with many more of your appliances. If you are handy with tools, you feel free to try this out, but don’t hold us accountable if you end up making the problem worse than it was when you started! In all honesty, if you’re dishwasher isn’t starting at all, it might have to do with the electronic control or the drain motor not starting. 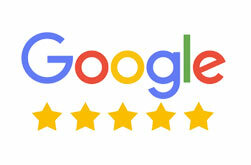 Usually we would recommend letting your local appliance repair company, hint hint, take a look and provide a professional recommendation for you. However, there are some things you can do to try to fix the problem on your own, even if you aren’t an electrician by trade. Check the circuit breaker and fuses to see if one has tripped. By the same token, make sure your dishwasher didn’t accidentally get unplugged. Finally, the door latch itself might be the issue, especially if your appliance is getting up there in age. It might just need some extra “umph” to latch properly! If it is any of those issues, you are in luck! Easy fix! 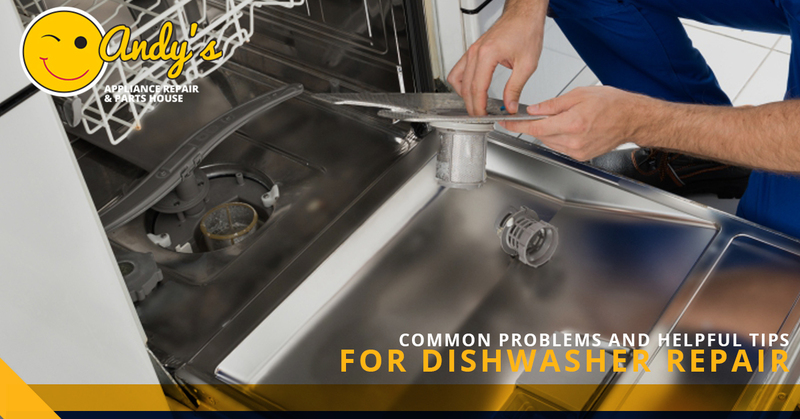 If your dishwasher isn’t washing dishes, you need to get that taken care of. It might be the sprayer arms, the strain screen, or the door gasket having food particles stuck in it. One quick fix for this that might work is to simply run a wash without any dishes in it to see if that helps at all. It could also be a water pressure issue in the sprayer arms. Check to see if food particles are stuck in there as well. If it is too worn down, it might be time to replace it. That’s where we come in with the ability to source the correct dishwasher parts for a reasonable price. Give us a ring and we will be out to your location promptly! If your dishwasher is cracked, odds are you are going to need a new dishwasher. Now before you go out to your local appliance store and buy a new one, give us a call so we can examine the issue thoroughly. We have over 100 years of combined experience among our technicians, and all are certified and well-trained to ensure you get the care the problem deserves. We service pretty much any name brand you might have when it comes to dishwasher repair. So whether you have a Samsung, Kenmore, GE, Miele, Subzero, or another brand that needs dishwasher repair service, Andy’s Appliance Repair specializes in blending quality with affordability. Give us a call today!